Located in Switzerland, Verbier is part of one the largest ski resort areas in Europe, the “4 Vallees” which includes the 6 ski resorts of Verbier, Nendaz, La Tzoumaz, Thyon, Veysonnaz and Bruson. 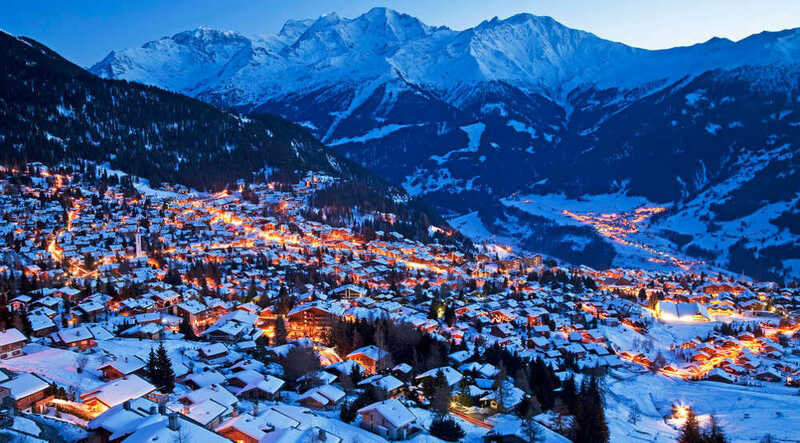 Verbier is one of the world’s most prestigious mountain resorts, and has it all, big skiing, big chalets, big nightlife. Well renound for its superb and challenging ski area as for the great apres-ski and excellent restaurants. Verbier is a sunny prairie repleted of wooden chalets at 1500m altitude, but despite rustic appearances is a purpose built ski resort, with free bus service all over the village what makes it easier to get every where with out needing a car. 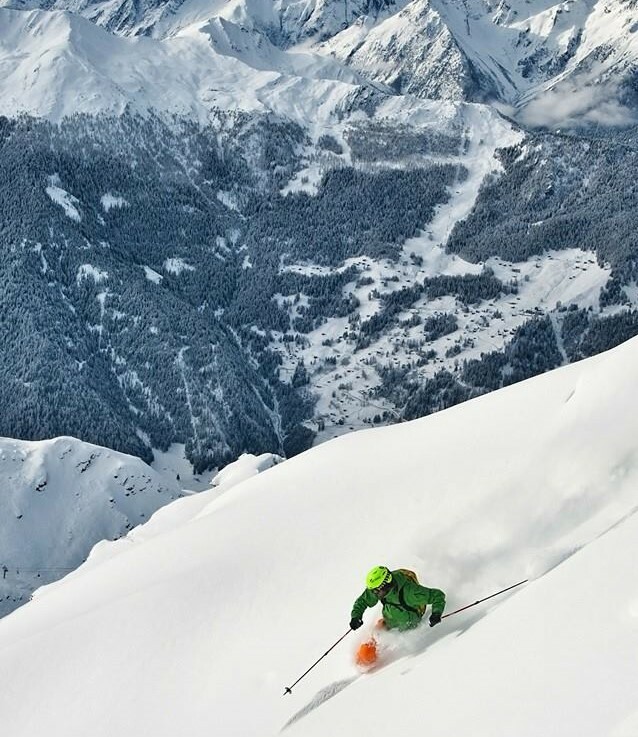 The ski terrain in Verbier has plenty slopes, ungroomed itinerary runs and off-piste terrain to offer. With 410 km of marked runs, ranges from 1,400m up to to 3,330m, and different types of terrain of varied difficulty, the 4 Vallees has a bit for every skier. Around Verbier village there is a sensational sunny area for beginners, also intermediate runs with the snow soften in the afternoon thanks to the south facing orientation. At the west side of Verbier, Savolyers area has many wide gentle runs, and a fun slope for the kids. You can find a Snowpark in le Chaux , with plenty of jumps and rails, even a giant airbag to cushion your fall for a big air safe practise. Skiers looking for challenging terrain should head to areas like Chassoure-Tortin and Mont Fort, also the famous Mt Gele, a mountain with no marked pistes. When the weather isn’t that great in Verbier, if the snow level is good, Bruson ski area, situated opposite Verbier, is a perfect option thanks to his tree protected runs. From Verbier you can reach the area via 2 gondolas. Also La Tzoumaz ski area offers a great option for poor weather conditions, it offers a large choice of protected runs. Lift passes can be bought for each of the individual ski resort or one pass that covers all of the 4 Vallees ski area. The village of Verbier, located in southwest Switzerland, is 170km (2 hour drive) east of Geneva, in the canton of Valais. Geneva Airport is the closest international airport, it has easy connections to Verbier via train, taxi or shuttle bus. There is a closer but smaller airport in Sion. Train is a great way to get to Verbier, you can access to Martigny from anywhere in Europe, from there a 30 minute ride on a regional train to Le Châble, where you can access Verbier by gondola, bus or taxi. Geneva is the nearest international airport with regular flights by numerous international airlines throughout the day. 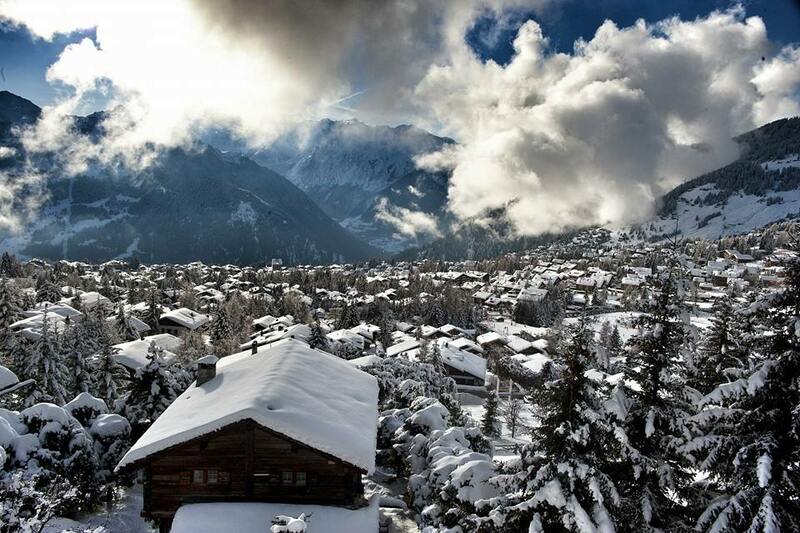 Sion is the nearest the regional airport at just 61 km from Verbier. There are some transfer service companies you can choose to book private transfers from main the main airports to Verbier. AlpyBus offers reliable and affordable transport from Geneva to your accommodation in Verbier. With priority parking at Geneva Airport there are no long walks. Choose from low cost shared services or private transfers. GVA Transfers provide quick and comfortable private transfers for individuals and groups of any size. They wait if your flight’s delayed and have drivers speak English and French. At Geneva airport only a short walk away thanks to the priority parking area. 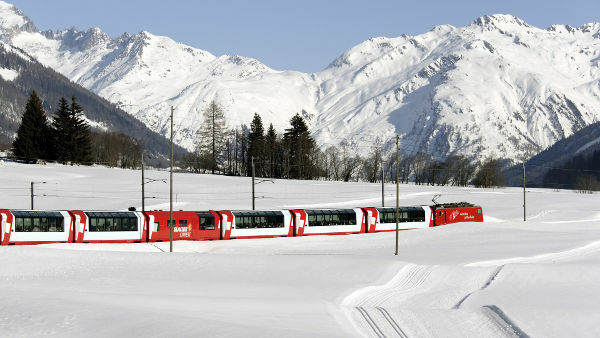 Alpin Express, with scheduled transfers from Geneva Airport to Verbier every two hours. Runing from 11am to 11pm daily. From Verbier to Geneva Airport at two hourly intervals. Runing from from 8am to 6pm every day. Taxi Lili Verbier for private taxi transfers to and from Verbier for 1 to 8 to airports and train stations of all major destinationslike Geneva, Bern, Zurich, Lyon, Milan and Turin. From Geneva airport take an InterRegio train in direction to Brig, change at Martigny to take the regional train to Le Chable, 9km from Verbier, from the same train station you can take a taxi or a bus for the 25 minutes ride from Le Chable to Verbier. All the journey takes approximately three hours. From Zurich take an InterCity service to Brig, changing at Visp, in direction to Geneva Airport, change again at Martigny for the regional train to Le Chable, 9km from Verbier, from the same train station you can take a taxi or a bus for the 25 minutes ride from Le Chable to Verbier. All the journey approximately four hours 50 minutes and three changes. From Sion 61 km / 1 hour 10 minutes. Take the A9 motorway direction Lausanne as far as Martigny, then take the exit 21 “Martigny-Fully”. Follow signs for “Grand-Saint Bernard, Verbier” on the route 21 from Martigny to Sembrancher. Once there turn left into the road to Le Chable and up the mountain to Verbier. From Geneva 2 hours 15 minutes / 170km. Take the motorway to Lausanne, then the A9/E62 Autoroute du Rhone via Montreux to Martigny. There take the exit 21 “Martigny-Fully” and follow signs for “Grand-Saint Bernard, Verbier”. Take the route 21 (E27) from Martigny to Sembrancher. Once there turn left to the road to Le Chable and up to the mountain to Verbier. 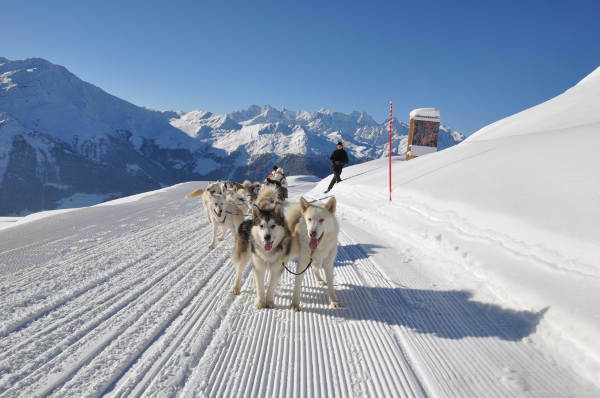 Snowsports is the main activity for daytime in Verbier, but There is plenty for non-skiers to do in Verbier including: snow-circuit karting, a toboggan run, paragliding , dog sledding, snowshoe treks and scenic walking trails. Also there is a sports centre with: ice rink, swimming pool and Jacuzzi, sauna, squash courts and climbing wall. For more relaxing alternative there are multiple spas and beauty salons around the resort. Apres ski is big in Verbier. There is many lively slope-side venues up on the mountains like the 1936. Also the Rocks or le Rouge, with DJs on their snow patios. A range of bars and pubs in Verbier rock from late afternoon onwards. Some as Pub Mont Fort, or Farinet bar offering some of Verbier’s best apres-ski experience. Also you find multiple disco-bars and nightclubs. The Farm is a chic option, a popular but more affordable alternative is the Casbah.